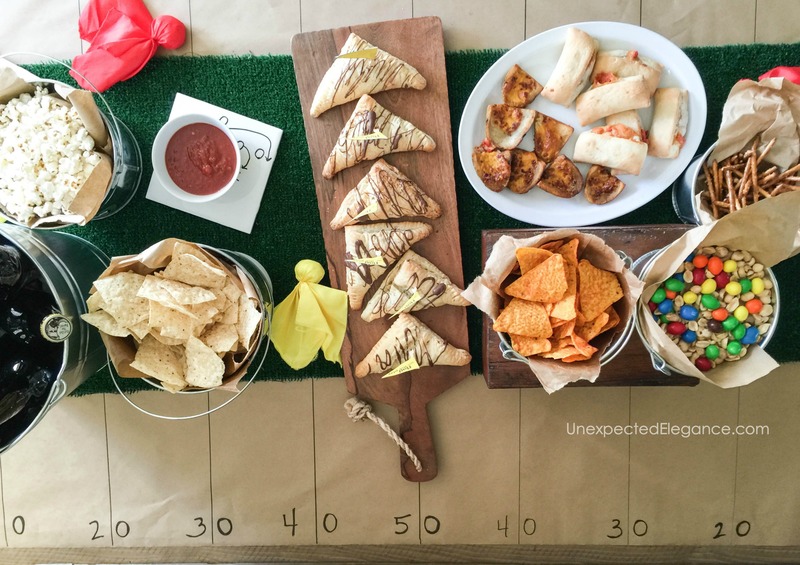 Who said that a Super Bowl party had to be all about the game and the food? 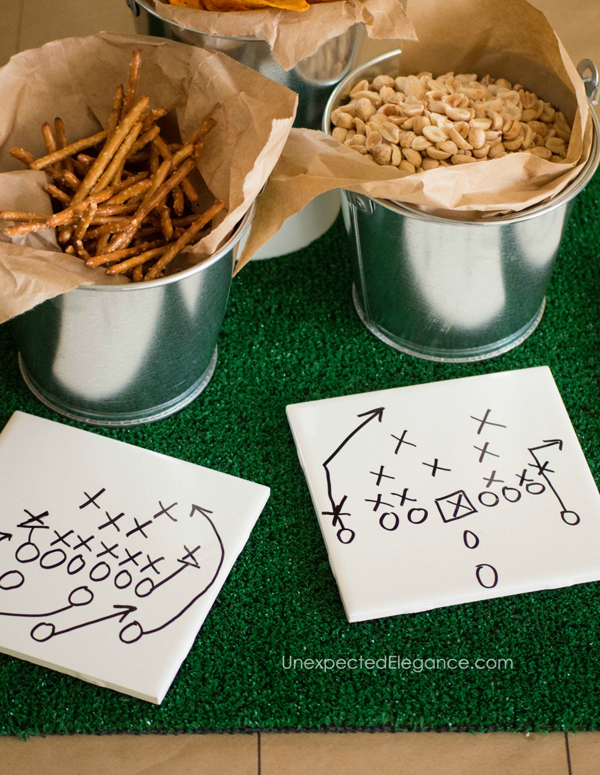 Why not spend a bit of time decorating your home for the big game? With a bit of time and small amount of money, you can decorate your home in the colors of the team you’re rooting for. Even if you can’t go to the big game in person, you can make your home the place to be on Super Bowl Sunday. 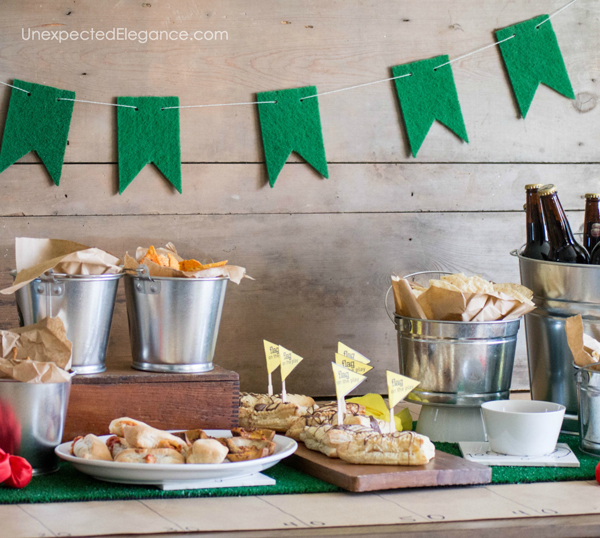 Here are some EASY Super Bowl party décor ideas. These are super simple to make and require inexpensive supplies. You can make it with or without the fake grass! Get the full tutorial HERE. This is so easy, even the kids can do it!! Get the quick tutorial HERE. 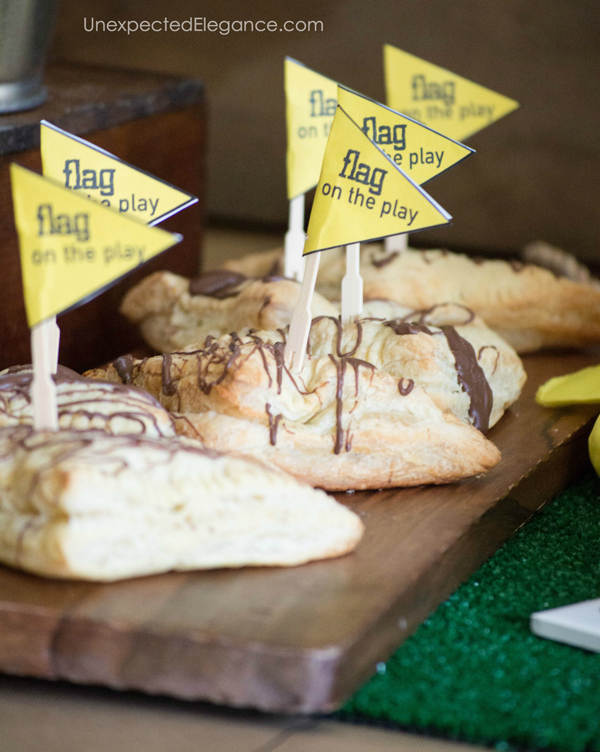 Make a few FlAGS to add to the food. You can get the printable HERE. Decorating your home for the Super Bowl may not have been something you’ve done in the past, but it can make your home feel more party-friendly. Best of all, you know you’re going to love having an excuse to decorate. 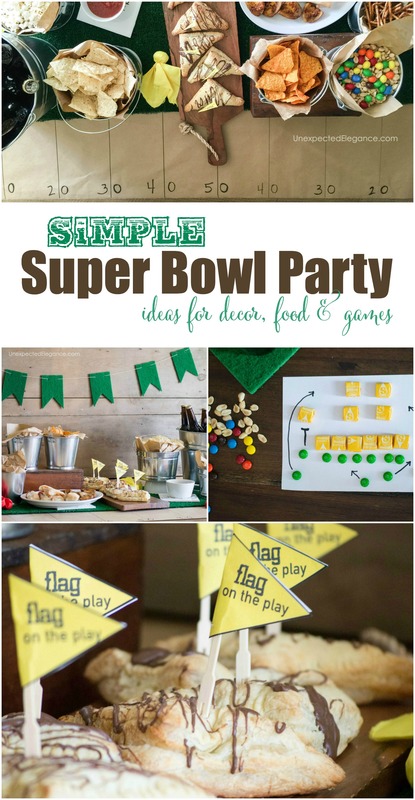 For more ideas, check out this post: Simple Ideas for a FUN Super Bowl Party.